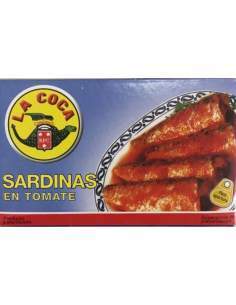 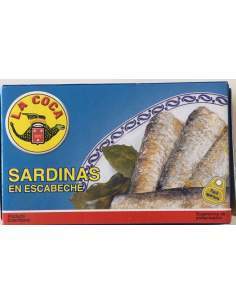 Small sardines There are 9 products. 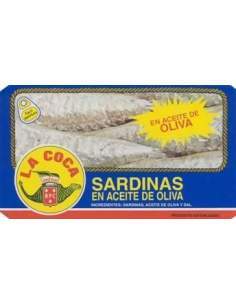 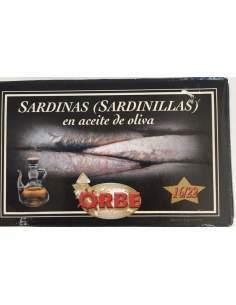 Orbe small sardines in olive oil 16/22 units. 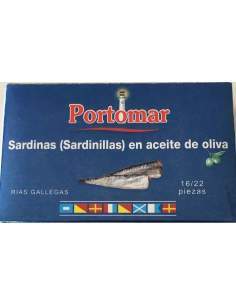 Portomar small sardines in olive oil 14/18 units. 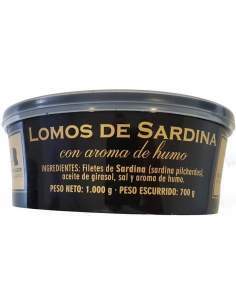 El pescador de Villagarcía loins of smoked sardines jar of 1 kg. 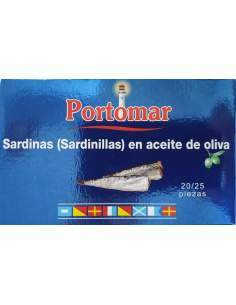 Portomar small sardines in olive oil 20/25 units.